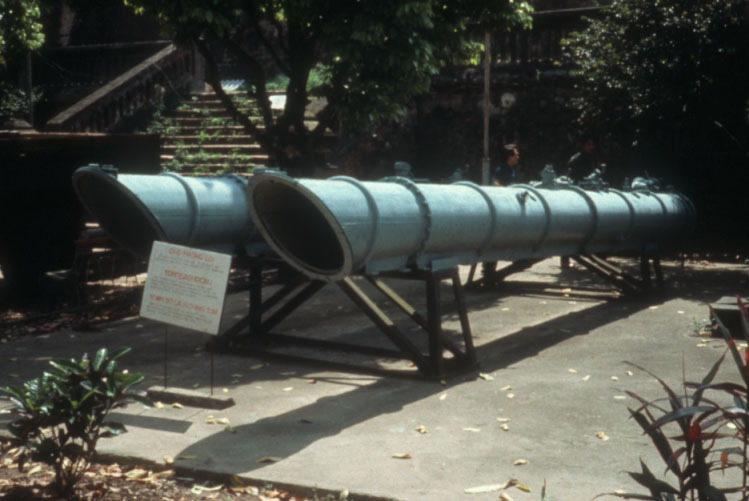 When I visited the Army Museum in Hanoi in 1986 and again in 1989, I saw two torpedo tubes on display in the exterior courtyard, with a label indicating that these were from a PT boat of the unit that had participated in the First Tonkin Gulf Incident, on August 2, 1964. This was the incident that has never been seriously in doubt. 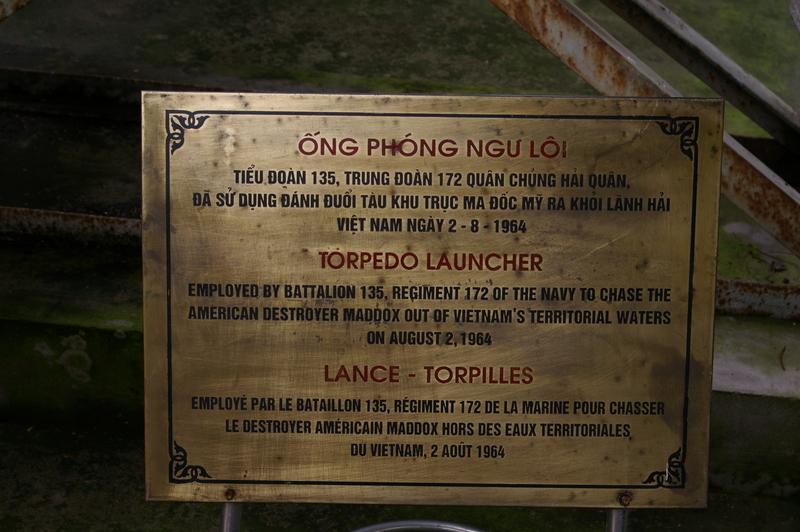 It should not be confused with the Second Tonkin Gulf Incident, August 4, 1964, when the United States claimed that North Vietamese PT boats had attacked two U.S. ships, but Hanoi denied that there had been such an attack. The evidence that is available from the U.S. side also indicates that there was not actually any attack on August 4. For further details see my book Tonkin Gulf and the Escalation of the Vietnam War (University of North Carolina Press, 1996; revised edition to be published by the U.S. Naval Institute Press, 2019). The label on the exhibit. 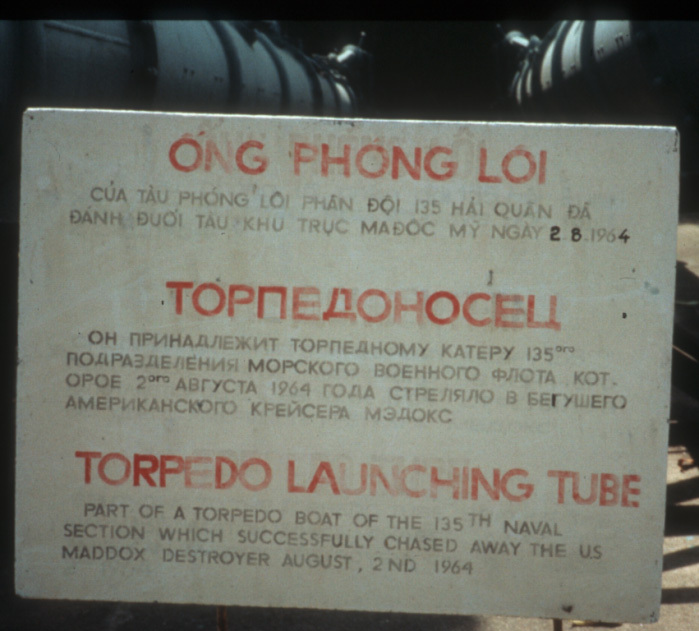 Front view of the torpedo tubes. 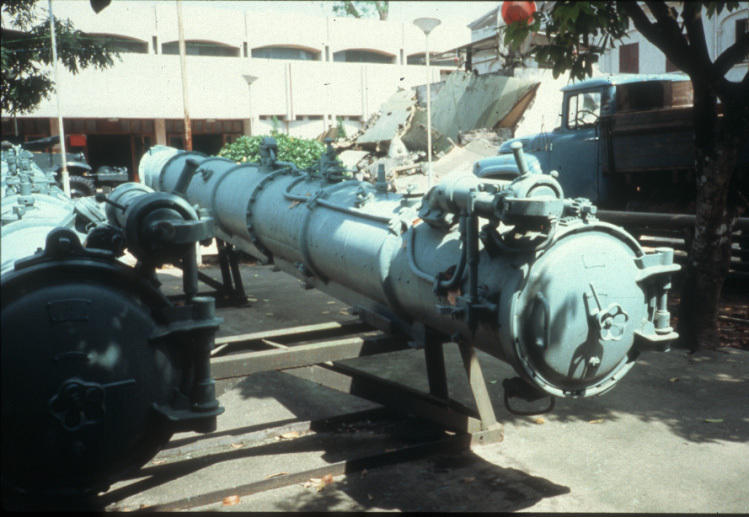 Back view of the torpedo tubes. Copyright © 2002, 2003, 2013, 2019, Edwin E. Moise. May be reproduced only with permission.